Toast the pine nuts in a small pan over medium heat, stir frequently until golden. Boil some water, add salt and cook the spaghetti according to the package directions. 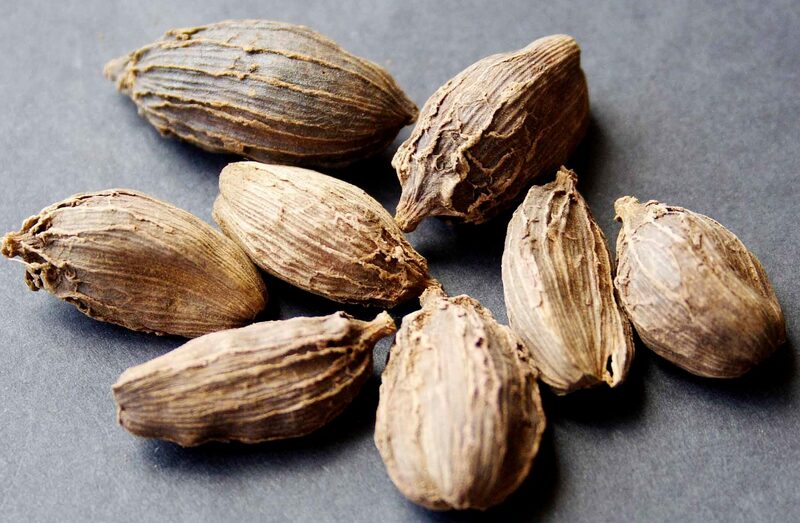 Grind pine nuts, cheese, garlic cloves and 1/2 tsp salt in a food processor or blender. Add basil leaves to processor. While processor is running, pour olive oil into mixture in a thin stream. The pesto is ready. Place a pan on medium heat, add drained spaghetti and pesto sauce. Add some of the pasta cooking water, if needed. Stir the pesto into the pasta and mix thoroughly. 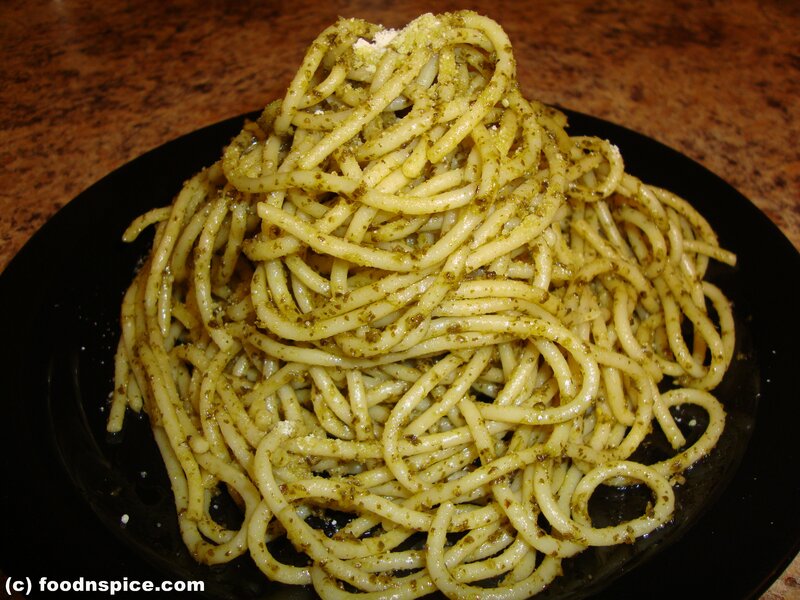 Spaghetti with Pesto is ready to serve. Dry roast the black pepper corns and grind coarsely. Heat oil in a pan. Add chopped onions and saute until it turns transparent. Add ginger-garlic paste, green chilies, curry leaves and mix well. Add coriander powder, red chili powder, pepper powder and cook for a minute. Add sliced mushrooms, salt and cook covered on a medium flame for around 10 minutes. After 10 minutes, uncover and cook on a high flame with constant stirring, till all the water has evaporated. Sprinkle garam masala and mix well. 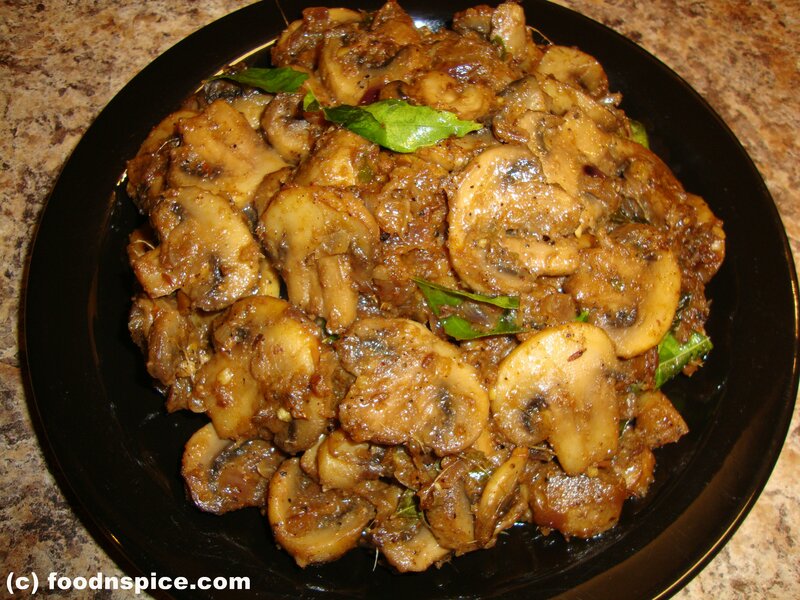 Mushroom pepper fry is ready. 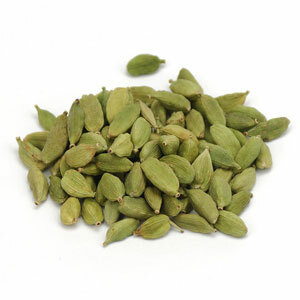 Serve hot with chapatis, naan or parathas. In a mixing bowl or a big plate, add wheat flour, salt, carom seeds and oil. Mix until oil is well incorporated into the dry flour. Add a little warm water at a time to knead flour into a smooth dough. Cover the dough with a wet cloth and let it rest for 30 minutes. Heat oil in a pan. Add cumin seeds, fennel seeds, ginger paste, chopped green chilies and fry for about 10 seconds. Add grated cauliflower and mix. Add red chili powder, turmeric powder, coriander powder, amchoor powder,garam masala powder, salt and mix well. Cover and cook for 10 minutes on a low flame. Uncover and cook on a high flame with constant stirring, till all the moisture has evaporated and the mixture becomes dry. Add finely chopped coriander leaves and mix. Remove from heat and keep aside to cool. Divide dough into equal size balls (approximately 9). Divide filling into equal portions (approximately 9). Roll out one dough ball into a 3-4 ” circle. Use dry wheat flour for dusting. Place one portion of filling on the center of the dough disk and pull the edges of the dough around the filling, completely sealing it. Flatten the stuffed ball and dip it in the dry wheat flour on both sides. Using a rolling pin, roll out the stuffed ball into a tortilla shaped disk. 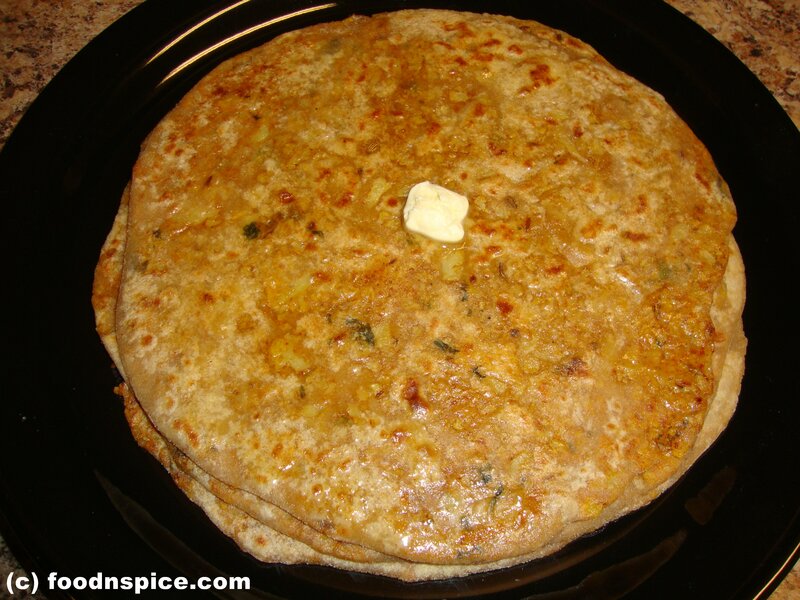 The paratha should not be too thin. Use wheat flour for dusting, whenever needed. Place the rolled paratha on the heated skillet ( tawa) and cook until bubbles start to appear or color changes. Once bubbles appear, flip the paratha over and lightly smear with oil. Allow underside to cook for approx 1 minute and flip it over once more. Again, lightly smear with oil. Keep flipping and cooking the paratha until the look of raw dough is gone and it looks completely cooked. It should have light golden/brown spots. Keep the paratha in a covered or insulated container and repeat process for remaining parathas. Serve hot with pickle or yogurt. Wash and soak basmati rice in water for 1/2 an hour. Drain and keep aside. Grind garlic, ginger and green chilies to a fine paste. Keep aside. Heat oil in a heavy bottomed pan, add cumin seeds, fennel seeds ,cinnamon pieces, black cardamom, cloves, green cardamom, bay leaves and pepper corns. Saute for a minute. Add chopped onion and fry till the onion turns soft. Add ginger garlic green chili paste and saute till the raw smell disappears. Add chopped tomato, red chili powder, turmeric powder, coriander powder, garam masala powder and mix well. Saute till the tomato is soft. If adding other vegetables, add them now and cook with very little water, till they are half done. Add sliced mushrooms and mix thoroughly. Saute for about 2 minutes. Add drained rice, yogurt, chopped cilantro, salt and mix well. Fry for about 2 -3 minutes. Add the hot water and incorporate everything slowly so that the rice does not break. Cover and cook on medium flame, for 8-10 minutes, or until the rice is cooked and the water is absorbed. (Add more water if needed). Remove from the heat and let the pulao rest for 10 minutes before serving. Serve hot with cucumber raita. * You can add other vegetables like green peas, french beans, eggplant, potatoes etc. 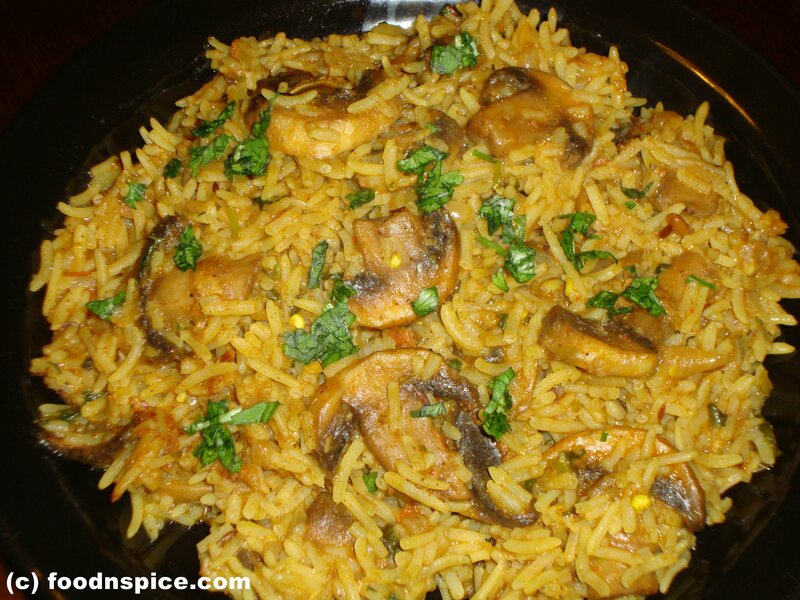 * To add more flavor, add 2 tsp ghee to the rice when its half done and mix well. Wash okra in water and pat it dry with a kitchen towel / cloth. Make sure to completely dry the okra as wet okra will be sticky while cutting. Heat oil in a pan, add mustard seeds, when they splutter, add cumin seeds, garlic, onions and saute till onion becomes transperant. Add hing, turmeric powder, green chilies, red chili powder, amchoor, coriander powder and mix well. Add okra, salt and mix well, cover and cook on a low flame for 5-10 minutes. Keep stirring in between, so that the okra doesn’t burn. 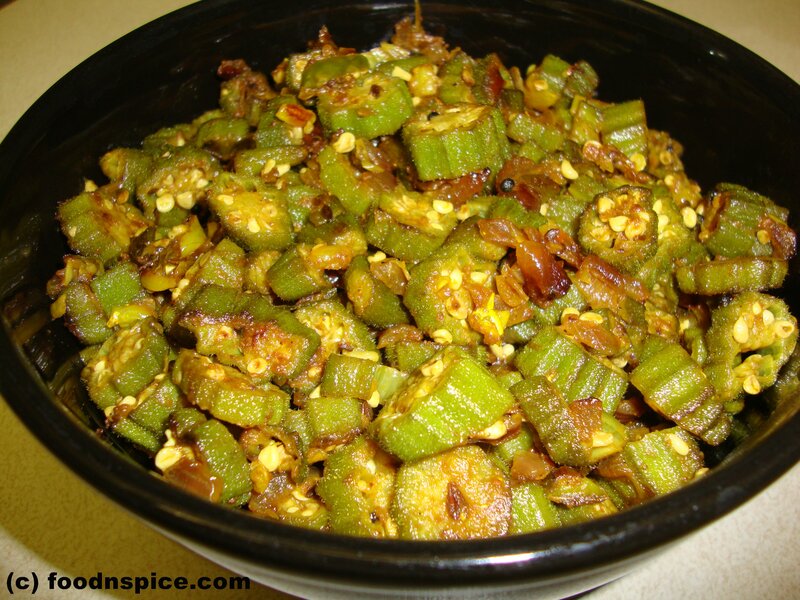 When the okra is cooked ,sprinkle garam masala and mix gently, Bhindi fry is ready to serve !!! Tip: Garnish the bhindi with freshly scraped coconut. Dry roast the chick pea flour in pan. Keep aside. Peel and grate lauki(bottle gourd). Grate the onion in the same mixture. Squeeze out water completely from the grated lauki and onion by pressing between the palms. Keep the water aside, to be used as stock later. Add all the other ingredients and roasted chick pea flour to the grated lauki,except oil and mix nicely. If the mixture looks too runny, add a little more chickpea flour. Shape the lauki (bottle gourd) mix into round balls (koftas). Deep-fry the koftas to golden brown over medium flame. Heat oil in a pan. Add cumin seeds, bay leaf and saute for 10 seconds. Add chopped onion, green chilies and saute till the onions turn transparent. Add ginger garlic paste and saute till the raw smell disappears. Add red chili powder, turmeric powder, garam masala powder, coriander powder,tomato puree and salt. Fry, stirring constantly, for about 5 minutes, or till the oil begins to separate from the masala. 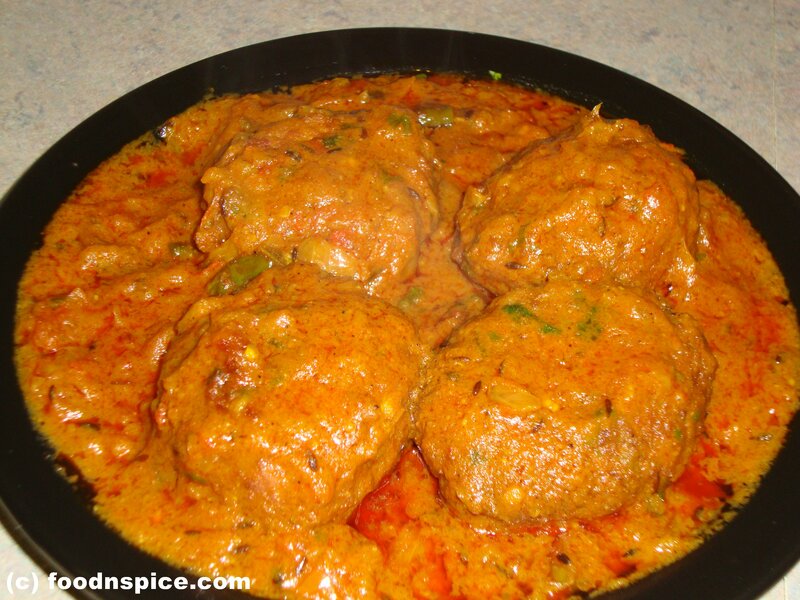 Add the lauki stock and 2 cups of water to the masala and let the gravy boil for 5-10 minutes. Lower the heat and add the koftas. Simmer the gravy uncovered for about 2-3 minutes. Turn off the flame and allow it to rest for 10 minutes. Koftas absorb the gravy and swell. 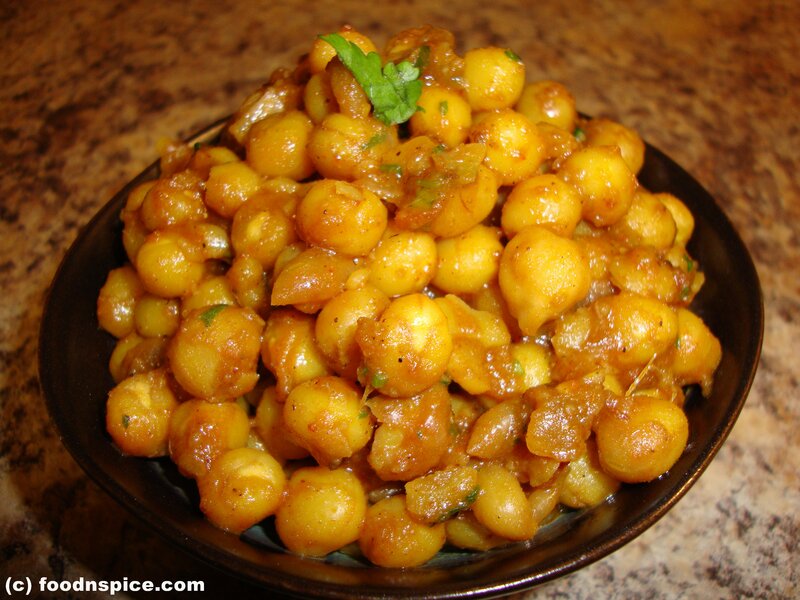 Garnish with chopped cilantro and serve hot with chapatis, rotis or Naan.